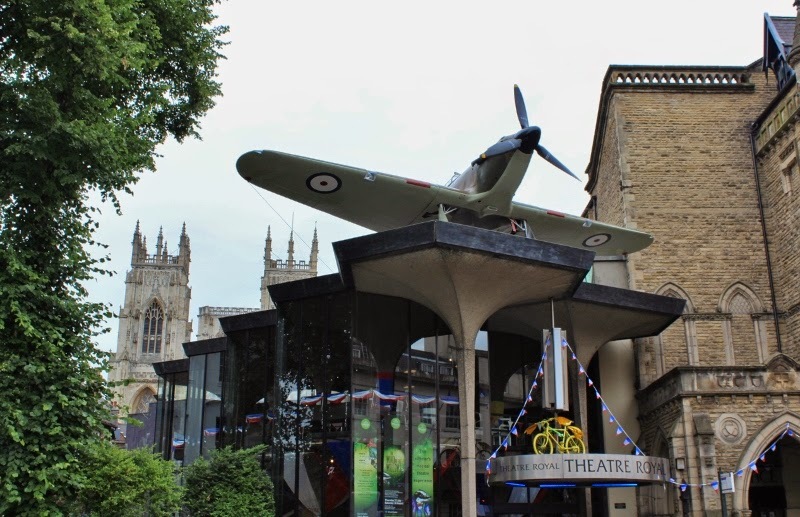 A replica Hawker Hurricane has been carefully placed on the roof of the Theatre Royal. It is there to honour the memory of the French airmen who flew missions from Elvington airfield near York in 1944/45. Over half the airmen lost their lives in bombing raids over France. Impressive. The Hurricane was a beautiful machine. I had no idea about the French connection - they were flying fighters or bombers? The Hurri had a ground attack role too - though by 1944/45 I would have expected that type of squadron to have been further forward. They were flying bombers Mike. Very nice! And yet another bike, Deb. Two days 'til the Tour hits town Pat!